When I fell in love with Ivy Carter, I fell hard. She had a grip on my heart, and she refused to let go. After I committed a brutal assault, I pushed her away so she could have a life without me, but I’ve ached for her ever since. I assumed in a few months she’d move on, go off to school, and find some guy that actually deserves her. But that’s not what she did. She pushed back. And the more she pushed, the more I wanted to give in. I didn’t, though. I can be a mean SOB when I want to be. It’s six years later now, and I’m out. I just want to see her so I know she’s okay, but one look at her angelic face through the window of where she works and I’m seventeen again, ready to do what it takes to put a smile on her face. I want to go straight and be the man she deserves, but when her brother steals from my criminal uncle, I have no choice but to make a deal with him. I might as well sell my soul; the devil is kinder. "Owing my uncle a favor is no small thing. It means when he calls to collect I have to do what he says, no questions asked. No matter the deed or how steep the cost to me. I will have to do it." For Ivy and Niko, love was the one thing colouring their worlds. Loving hard while they were young proved to be tougher than it needed to be. Niko comes from a family where black and white rule, and there is no grey. You do what's needed to be done and you do not ask questions. Ivy sees this side of Niko one fateful night, the grey area takes everything that Niko has, including Ivy. Can you forgive and forget? Or do you do what it takes to move on? "We were all we had. I would do anything for him. Anything. I just didn’t realize how far I could go, what I would be willing to forgive in others to keep him safe." This was a great read. Very suspenseful, very raw! 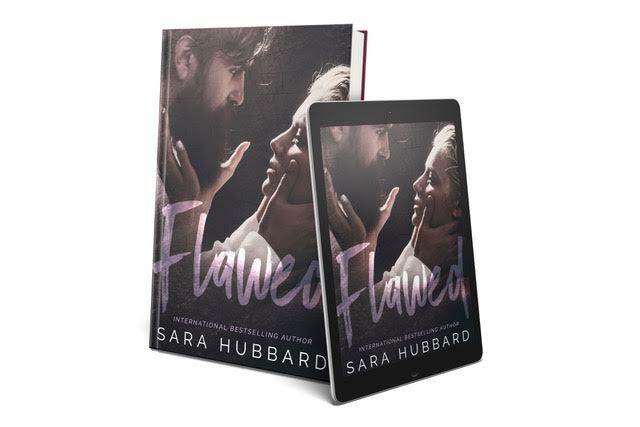 Sara Hubbard takes us into a world filled with crime and murder, and show us that love is strong, even when faced with tragedy. Sara is a very strong writer, filled with a lot of passion. This is the second book that I have read by her, and I can guarantee it won't be the last. "Fury bubbles inside of me, collecting in my gut. I want to grab his face and smash it to the ground. I have never been so helpless and so angry. I scream in rage, so loud it pierces my ears."